Hazel Gerealdine Fletcher Phillips was born on September 4, 1929, in Casey County. She was married to Calvin Phillips on December 21, 1946. From this marriage, she had five children. She is survived by three children; Patricia (Jackie) Brown, Jill (David) Thompson, and Steve (Melissa) Phillips. A son-in-law; Steve Keckeis. She is also survived by two siblings; Charlie (Jean) Fletcher and Gayle Wilson. She is preceded in death by her husband, Calvin Phillips; her parents, Corbit and Eula Fletcher; two daughters, Joy Vaughn and Kathy Keckeis; one grandson, CJ Phillips; one brother; Earl Fletcher; and one sister; Elizabeth Hamm. Hazel was a grandmother to 12 grandchildren, 22 great-grandchildren and 1 great-great-grandchild. 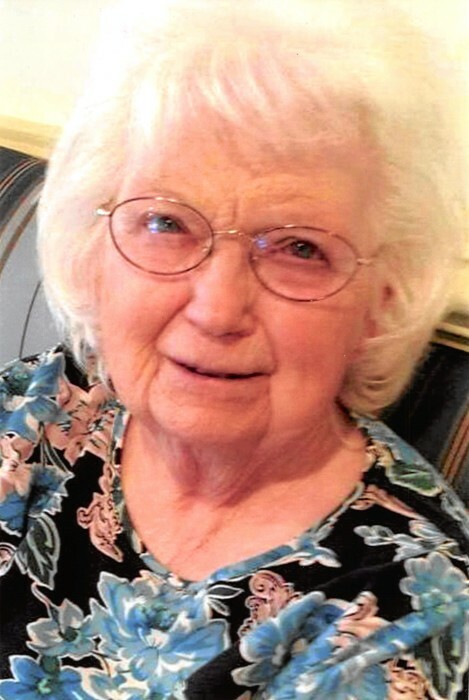 Hazel was a member of Bethlehem United Methodist Church. She was a loving person who spent many hours caring for her mother, husband, and her daughter while they were sick. She was a licensed beautician who occasionally provided these services out of her home. Hazel was a homemaker, who loved cooking and gardening. Hazel also enjoyed singing and listening to gospel music. The Funeral service will be held at 1:00 P.M. on Sunday, January 27, 2019, at McKinney-Brown Funeral Home with Bro. J.R. Grant officiating. Burial will follow in Whited Cemetery. The family will receive friends from 5:00 P.M. to 8:00 P.M. on Saturday, January 26, 2019, at McKinney-Brown Funeral Home.